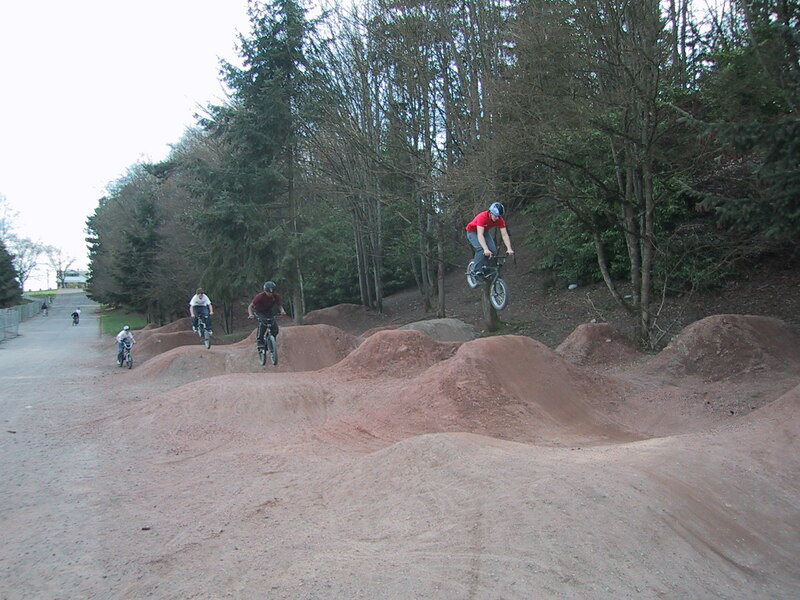 BMX Jumps are one type of Bicycle Skills Park. Right now, BMX Jumps need attention to build awareness around this exceptional sport. Like skateboarding was a few years ago, BMX is still not understood. It has many of same healthy characteristics; it’s active, it doesn’t require scheduling, it’s practiced by kids and adults in a supportive environment, and it doesn’t require much space. One exceptional characteristic that makes BMX different from nearly all other sports is that the participants build their own facilities. Designing, digging and forming jumps is an art form that is an integral part of the sport. Many hours are spent fine tuning and maintaining the shape of the jumps so that they flow smoothly from one to the next. Urban Sparks is proud to be introducing the BMX community to the parks departments of Seattle and King County. We invited the Superintendent of Seattle Parks and Recreation and several of his key managers to visit the jumps on Queen Anne to see what the sport is all about. They were very impressed and are now thinking about how to integrate this modern sport into parks. BMX jumpers bring a very positive activity into the same kind of wooded areas that unwanted urban camping is often found. This can make BMX jumping a welcome addition to green belts that don’t otherwise get enough positive traffic. your age and why you support the sport. We hope to show Parks management how widely supported the sport is. Check out this article in The Stranger. More on BMX and Bicycle Skills Parks.